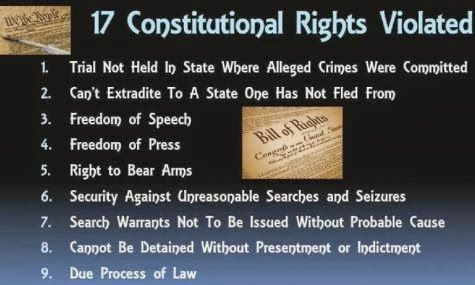 Former North Carolina Governor Bev Perdue was named a Defendant in a $254 million Civil Rights Lawsuit filed with the United States (Federal) District Court for a complicit role in SEVENTEEN Constitutional Rights Violations (listed below) and a variety of felony and misdemeanor crimes instigated by North Carolina Public Officials (also delineated below). These crimes were collectively perpetrated in a manner suggesting a belief by those involved, that they were above the law. The Plaintiff is Spencer C. Young. 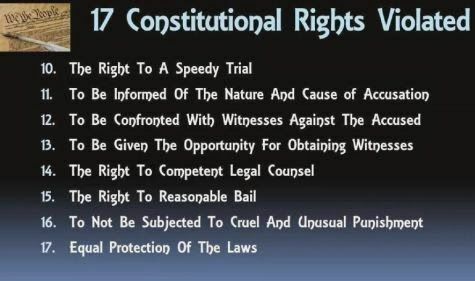 The subject Civil Rights Violations included the violent FALSE arrest of Plaintiff (via a heavily armed SWAT team), and an ensuing UNLAWFUL 127-day incarceration, replete with torture in maximum security jail while housed with the most violent of felons on a charge that was simply made up out of thin air and later dismissed as meritless. In a twist of irony, Mr. Young (whose full name is Spencer Clifford Young III) was VIOLENTLY assaulted at gunpoint and UNLAWFULLY arrested in broad daylight at his residence by a team of a dozen U.S. 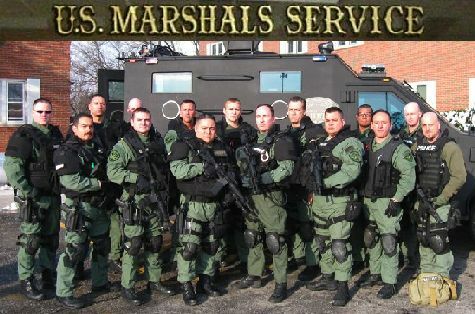 Marshals. He was handcuffed in a prone position on the front lawn of his home for 15 minutes in prominent view of his Tarpon Springs Florida neighbors on a patently FALSE charge and then placed in solitary confinement in the maximum security bowels of Pinellas County (FL) Jail while his home was ransacked in an attempt to destroy the damning evidence of felonies perpetrated by a North Carolina Judge. The irony of this traumatic experience resides in the fact that his namesake grandfather (Spencer C. Young, Sr.) was appointed by President Franklin Delano Roosevelt to head up the U.S. Marshal Eastern District. 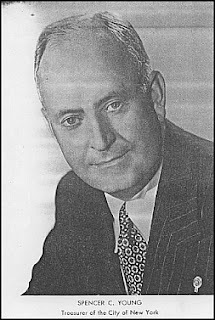 He fulfilled this role for many years as part of a distinguished career as public servant, which included two terms as Treasurer of New York City, during which time he was credited with averting a looming fiscal crisis through a creative public-private sector collaboration with Fred Trump (Yes, "The Donald"s father). Mr. Young's false arrest was part of a sinister plot to cover-up the extensive felonies of a woefully corrupt North Carolina Judge, David Q. LaBarre, and Mr. LaBarre's girlfriend, Leah R. Krier. 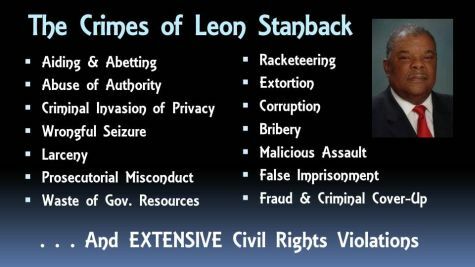 This reckless "Color of Law" abuse of authority and repugnant abuse of the public's trust was instigated by the dastardly collaboration of LaBarre and the then acting Durham County District Attorney Leon Stanback, who are long-time friends and colleagues. Of note, Stanback and LaBarre are BOTH retired Superior Court Judges of Durham County, which is indeed a sad reflection and commentary on the judicial system there -- in fact, it suggests the existence of judicial kakistocracy. Upon information and belief, the subject unlawful arrest and incarceration was a prefacing action to what was to be an orchestrated assassination intended to look like an accident while in custody (sadly this frequently occurs, it is just not reported). However, after the Plaintiff was tipped off and publicly exposed this diabolical plan through a private investigator he had hired, he was miraculously released. In making such attention-grabbing allegations, the Plaintiff opted to accept the possibility that the Defendants in this Civil Rights Lawsuit would try to discredit him as paranoid. 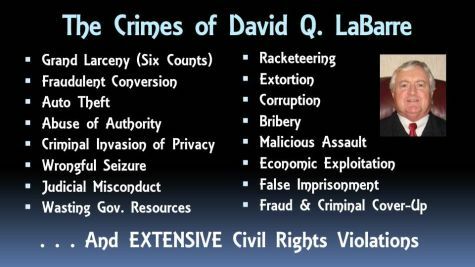 Notwithstanding, he remains alive to pursue these important civil rights claims in lieu of deceased and unable to pursue long overdue and important justice from which many others may benefit -- this being the case, because throughout this nightmarish ordeal, it became clear the arrest and incarceration of innocent American citizens by corrupt public officials was commonplace. This is perhaps not merely the indictment of the wayward public officials named as Defendants in this Civil Rights Lawsuit, but of the associated states and municipalities for which they represent, where the respective systems of checks and balances (the bedrocks of the United States of America) appear to be grievously inadequate. How this matter plays out will certainly be an indicator. Thursday, October 25, 2012 -- FL Gov.Rick Scott & NC Gov. Bev Perdue :Seriously, What is Wrong With You People?!? Saturday, October 6, 2012 -- Fraudulent North Carolina Extradition Order Approved By Florida Officials ?! . . . What !? This MUST Be Stopped ! Wednesday, October 3, 2012 -- Gov. Rick Scott & Gov. Bev Perdue: Please Stop This MADNESS ! Tuesday, October 2, 2012 -- How Can This Happen In America? The Worst Nightmare Imaginable . . .
Monday, October 1, 2012 -- My Unlawful Extradition Must Be Stopped . . . Or I Will Be Assassinated ! Saturday, September 15, 2012 -- To: The Durham Police Dept. & U.S. Dept. of Justice . . . . . . . . . . ."This Is An Outrageous Travesty Of Justice ! " Monday, September 10, 2012 -- Plea To The Governors and Attorneys General of NC & FL "Release Innocent US Citizen". Saturday, September 8, 2012 -- Message to President Obama, Governor Scott, and Governor Perdue: "I Beg of You to Help Me!"